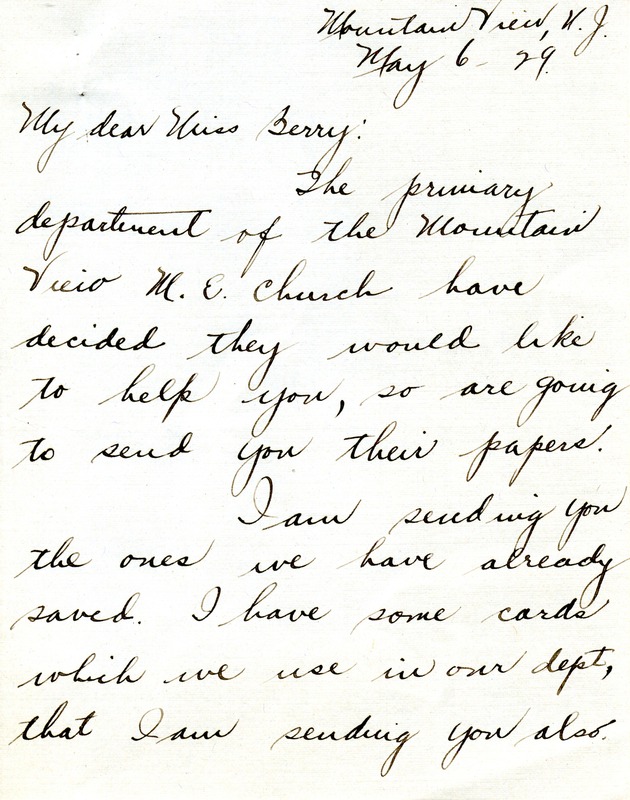 Miss Sisco writes to tell Miss Berry that the primary department of the Mountain View M. E. Church has decided to save their Sunday School papers to send to the children at the Berry Schools. 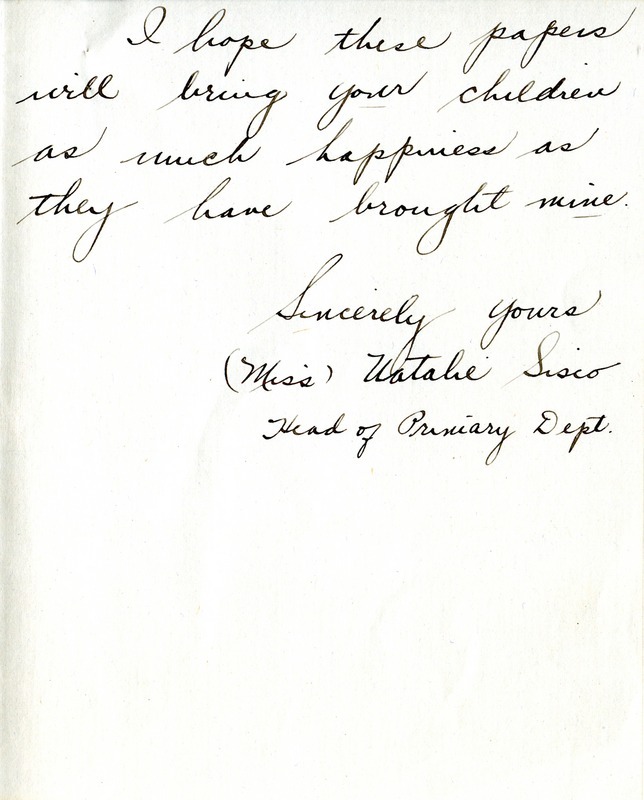 Miss Natalie Sisco, “Letter to Martha Berry from Natalie Sisco.” Martha Berry Digital Archive. Eds. Schlitz, Stephanie A., Chelsea Risley, et al. Mount Berry: Berry College, 2012. accessed April 25, 2019, https://mbda.berry.edu/items/show/10990.